Adele Wright is a Paintings Conservator at Royal Museums Greenwich. 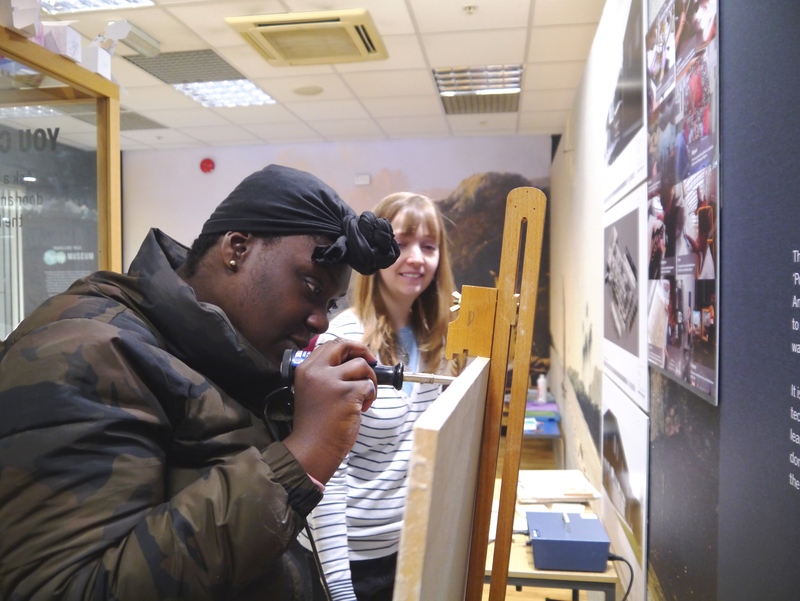 I led interactive demonstrations on how to paint on wax, hoping to re-create Stubbs’ Dingo with the help of visitors to the Lewisham Shopping Centre. 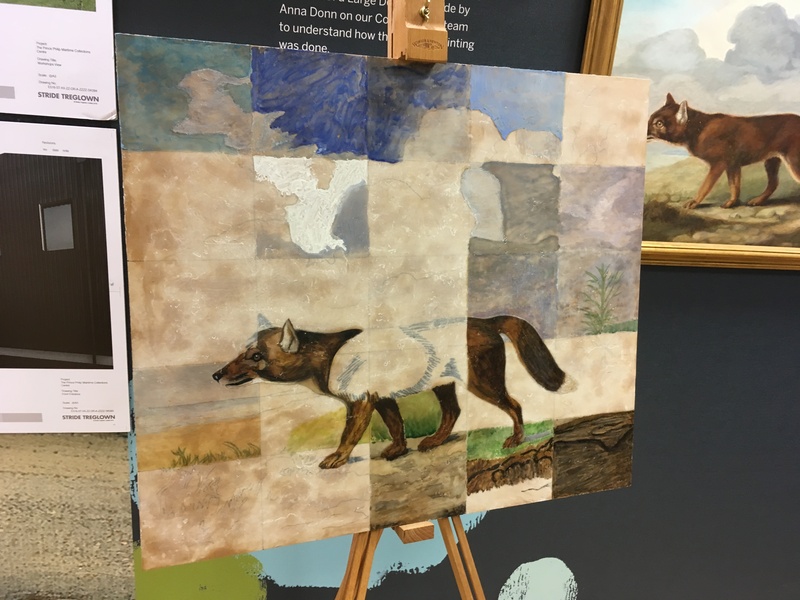 As part of the Traveller’s Tails Pop-up Museum’s workshops, the Conservation department of Royal Museums Greenwich has been running interactive demonstrations of some of the traditional techniques used in the making of Stubbs’ Dingo painting. These sessions alternate with similar demonstrations on gilding a frame. 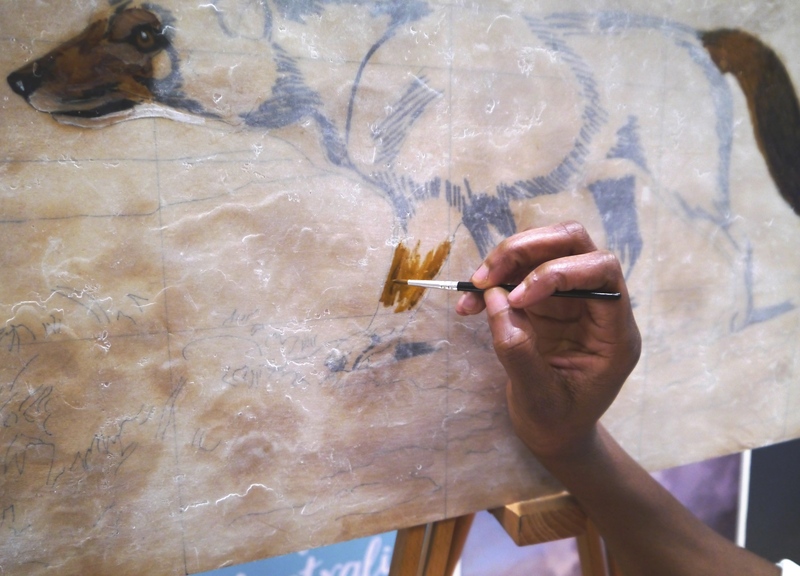 I prepared a panel in advance with the outline of the Dingo drawn on it, covered with a layer of beeswax followed by a thin layer of chalk over the top, thin enough that the outline drawing could be seen through the wax and chalk layer. Wax naturally repels water, so Stubbs would have applied the chalk before painting using powdered pigment in water. 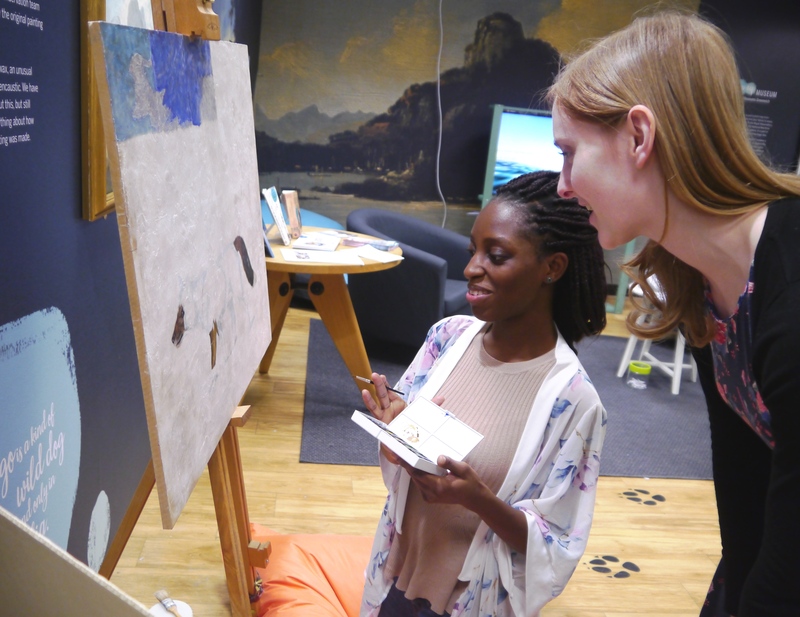 For the workshop, the public were asked to paint using watercolour, following the lines visible through the wax, and while referring to the copy of Stubbs’ painting on display in the Pop-up Museum. It is a difficult technique to get to grips with at first, but many members of the public were keen to give it a go including some of the kids. Some people wanted to do a bit of the sky and use a looser style of painting, while others wanted to work on part of the dingo with finer, delicate brushwork. After finishing their part of the painting we showed the participants how to use a hot air pen (like a miniature hairdryer) to heat up the wax and melt it so that the watercolour became saturated with wax and formed the final paint layer. 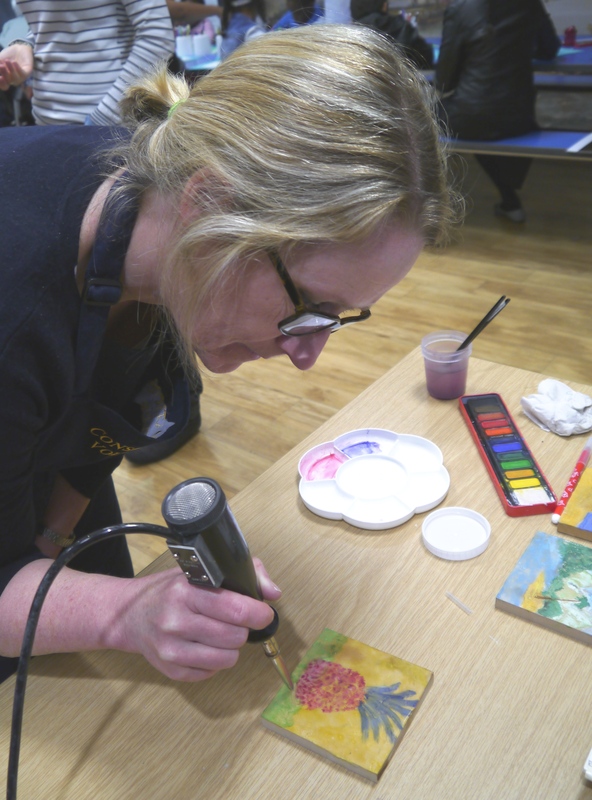 Further wax painting workshops will be held on the 21 and 28 April and you can try a gilding workshop on 18 and 25 April. They’re free, so drop in, between 10am – 3pm, and try something a little different.